Here are some cool vintage finds! Two boxes of cleaning products, unopened, a vintage medicine bottle and a very cool peanut butter jar. 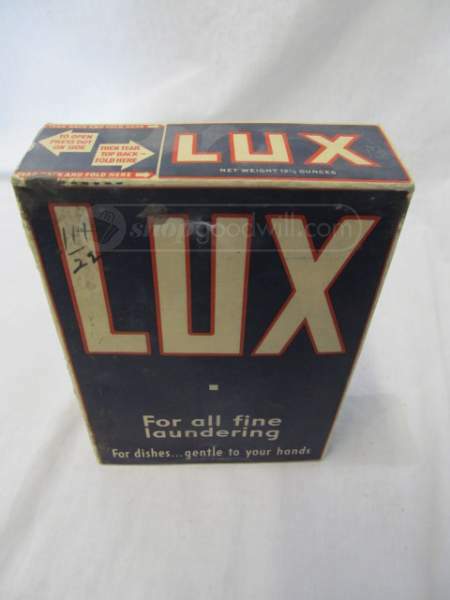 Here is a box of a dish soap called LUX. This box is from the 30’s!! How amazing is it that it survived 80+ years, unopened and unused?!? I can’t even imagine how it did. I guess maybe underneath grandma’s kitchen sink? 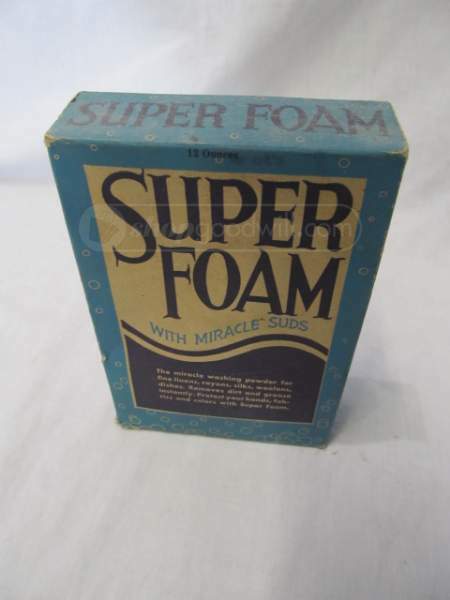 This vintage cleaner is a soapbox of SUPER FOAM with Miracle suds! I believe this is from the 1930’s also due to the similar font and similar condition, unopened and unused. I can’t find any others like this one though. Truly amazing they both survived. 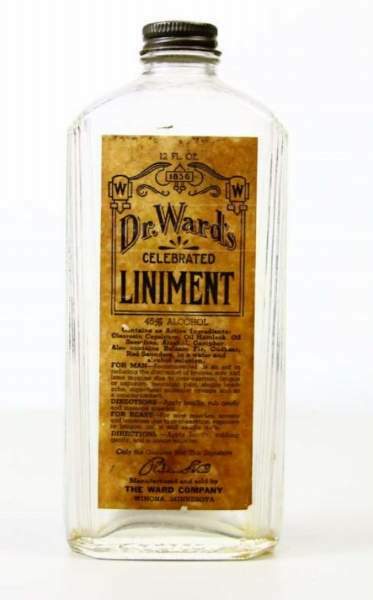 This bottle of Dr. Ward’s Celebrated Liniment was made from 1867-1870 and was hailed a remedy for various ailments. Beside containing lead based soap, it contained linseed oil, alcohol, sassafras oil, extract of red pepper and colored water. Sounds like snake oil from a medicine man if you ask me! No Thank You Dr. Ward! I love the old timey label with cool 19th century fonts though. 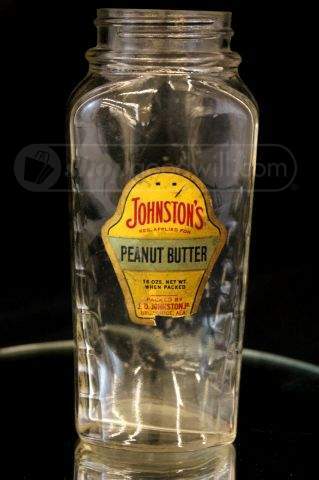 The last item is a vintage Johnston’s Peanut Butter jar, sorta bottle. I can’t find any others like it either. Very cool early to mid century labeling. I love the shape of this bottle. I found all of these items on shopgoodwill.com. It is a fun auction site for goodwill enthusiasts. Unfortunately they charge crazy shipping on most items. I have found myself only bidding on items I absolutely must have or lots where I get more for my money. These auctions have ended but keep an eye out because they often have fun and unique auctions. Check it out and check back here to see more fun and interesting vintage finds. Comments Off on Vintage Household Products.